Merton’s Schools competed this week in the first ever school golfing competition organised by the Merton School Sports Partnership. 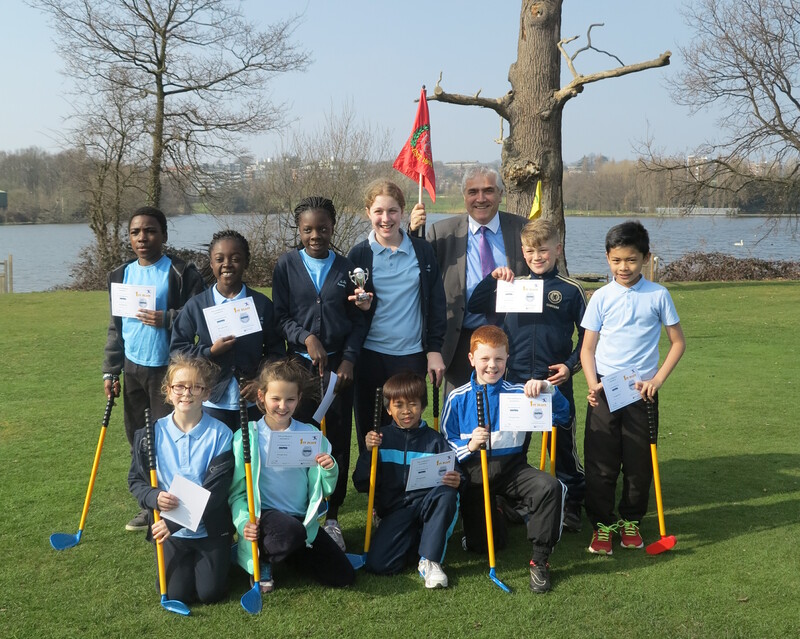 Children from years five and six competed at Wimbledon Park Golf Club where they played a variety of games at 8 stations. The teams had to accumulate the highest overall score in golfing activities such as putting, chipping and driving. The winning school, St Teresa’s RC, will be representing Merton at the Mini Games, to be held at Crystal Palace sports centre on 2 July. Wimbledon Park Golf Club supported the event by allowing the Merton School Sport Partnership to use their golf grounds for the event. Leader of the Council, Councillor Stephen Alambritis with winning school St Teresa’s RC.